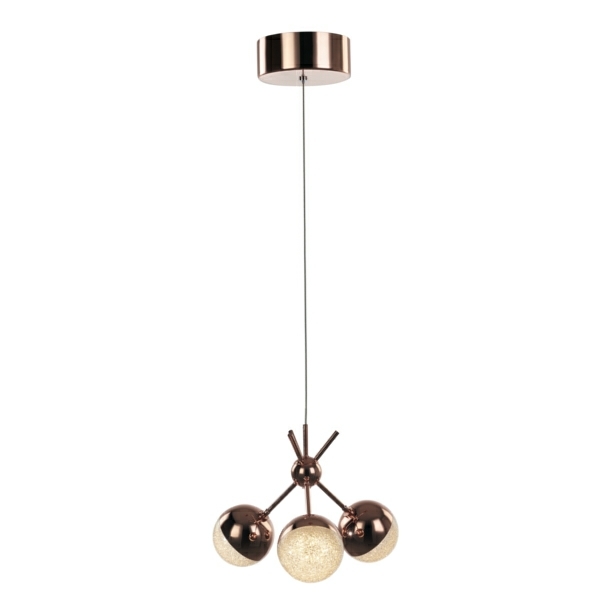 The Eclipse range of ceiling pendant lights offer a modern lighting experience in a spherical design, complemented by crushed crystal diffusers finished in polished chrome and copper. 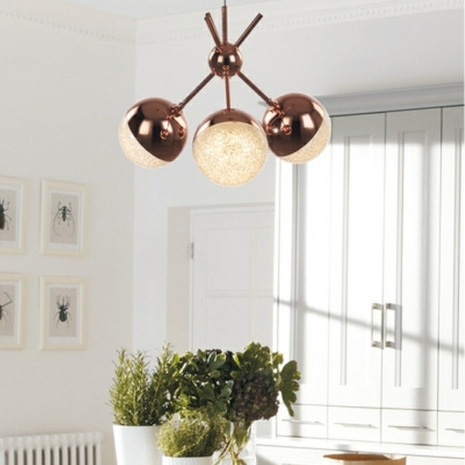 This is an ideal light when looking for a pendant light feature over a kitchen island or dining table. 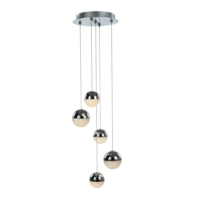 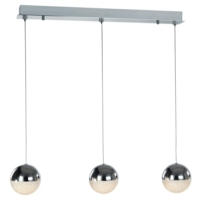 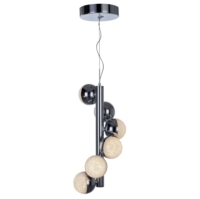 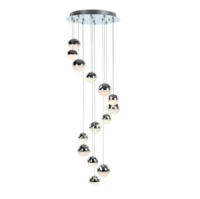 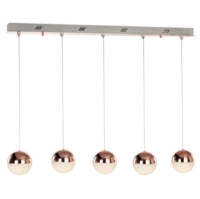 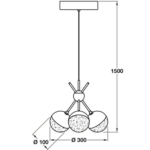 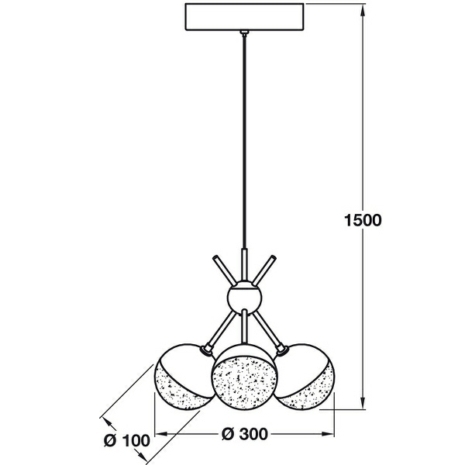 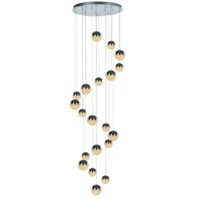 The Eclipse 3 light cluster comes with a small ceiling cup and a thin suspension wire holding a unique frame with 3 globe shaped shades.